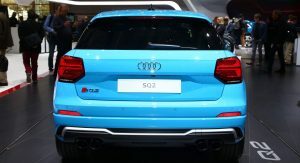 Audi has an armada of new models at this year’s Paris Auto Show but only one of them wears the S emblem. 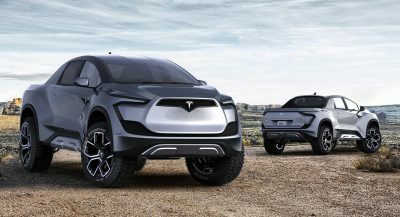 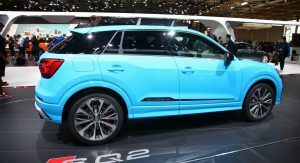 Yes, it’s the SQ2 performance SUV. 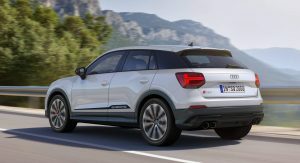 Essentially a Q2 that has received a vitamin supplement from the S3 hot hatch, the SQ2 features a 2.0-liter turbo-four, lowered S sports suspension, and sporty exterior and interior tweaks. 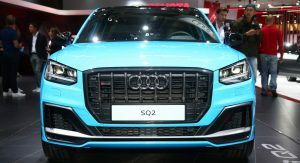 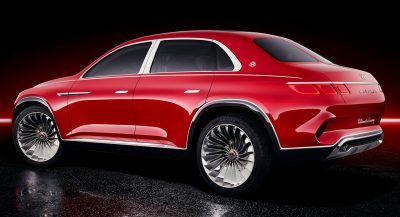 At the heart of the SQ2 resides the 2.0-liter turbocharged four-cylinder gasoline engine that pumps out 300 PS (296 hp) and 400 Nm (295 lb-ft) of torque between 2,000 and 5,200 rpm. 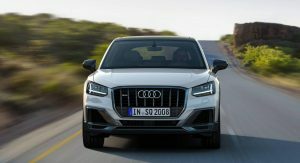 Thanks to the seven-speed S tronic dual-clutch transmission and standard quattro AWD system, the SQ2 sprints from 0 to 100 km/h (0-62 mph) in 4.8 seconds and reaches an electronically limited top speed of 250 km/h (155 mph). 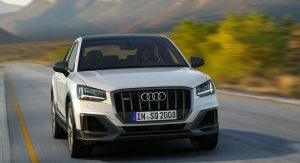 And if the front wheels run out of grip, the quattro system can distribute up to 100 percent of torque to the rear wheels in milliseconds. 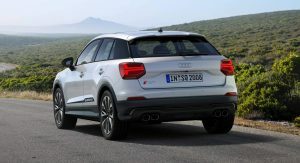 The S sports suspension lowers the body by 20 mm (0.78 in) and features a more dynamic setup than the Q2’s standard suspension. 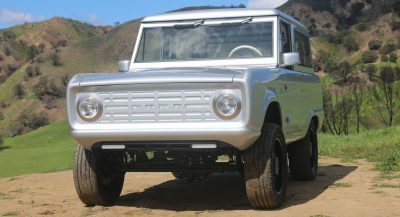 Furthermore, the standard progressive steering has S-specific power assistance characteristic to improve agility. 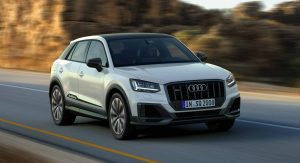 The Audi SQ2 also comes standard with the Audi drive select dynamic handling system which offers five driving modes: auto, comfort, dynamic, efficiency, and individual. 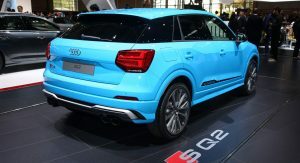 Each of the settings alters the response of the steering, transmission and additional systems. 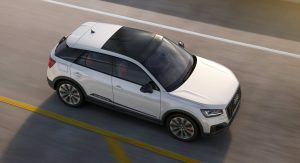 On the outside, the SQ2 is easy to recognize thanks to the more aggressive bumpers with bigger air intakes at the front and quad exhausts at the rear, special grille, sharper side skirts, “quattro” trim strip on the doors, and a roof spoiler. 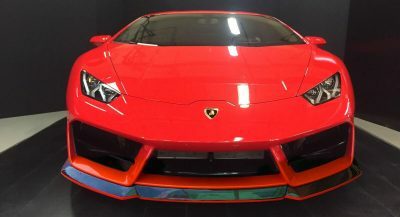 There are 10 different alloy wheel designs to choose from, ranging from 18 to 19 inches, as well as 10 exterior colors. 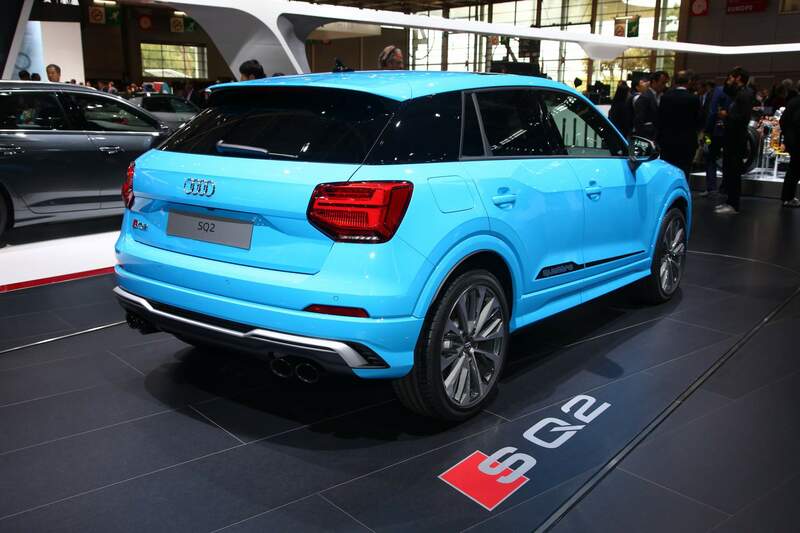 The performance SUV is also better equipped than lesser Q2 models, featuring standard LED headlights and taillights. 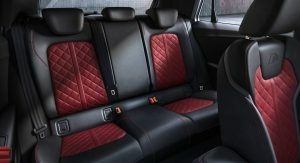 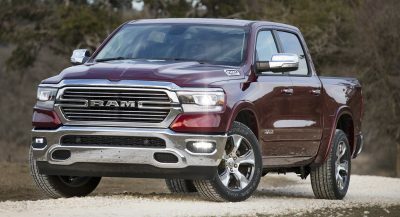 Speaking of equipment, the cabin offers standard sport seats trimmed in leather and fabric, front center armrest, automatic air conditioning, multifunction sports steering wheel, and a color driver information system. 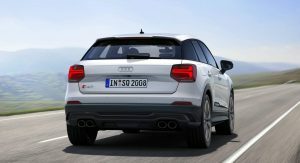 The 12.3-inch Audi virtual cockpit is optional. 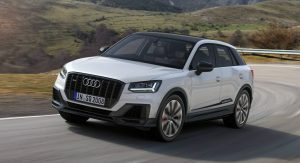 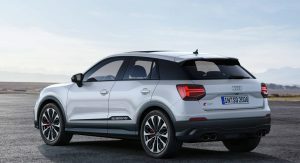 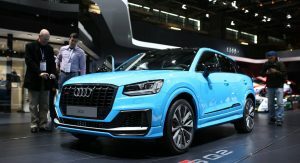 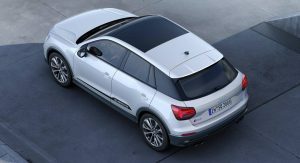 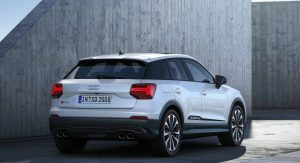 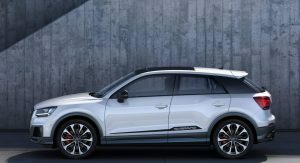 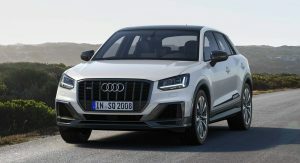 The Audi SQ2 will arrive on European markets in early 2019.